Steri-Soft: A new “State of the Art” seamless resilient flooring system that is ergonomic with noise reduction properties. Dudick’s new Steri-Soft is a seamless, resilient flooring that provides anti-fatigue flexibility and has superior noise reduction properties. Steri-Soft is recommended for healthcare facilities, schools, public arenas and research centers. 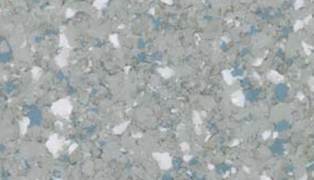 Available in solid colors or decorative flake appearance. Contact Dudick today for a Free Sample of the new “State of the Art” Steri-Soft Flooring.